You are here: Home » Our First Product Prototype: The DonnyBear! Our First Product Prototype: The DonnyBear! If my KISS lunchbox or my Star Wars Underoos taught me anything, it’s that the REAL money is in merchandising. If people are fans of something, they’ll buy up all sorts of doodads to build a deeper connection to the object of their obsession and show the world that they have great taste. Cha-ching!! Here's the DonnyBear in his full glory. 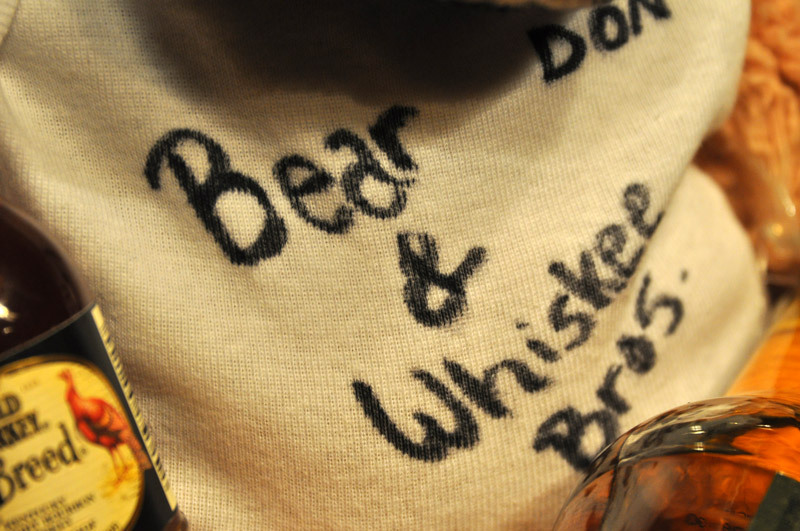 DonnyBear is half of the Bear and Whiskee Bros.
...in the other paw, a beer widely considered to be the worst in the world. Nice touch! 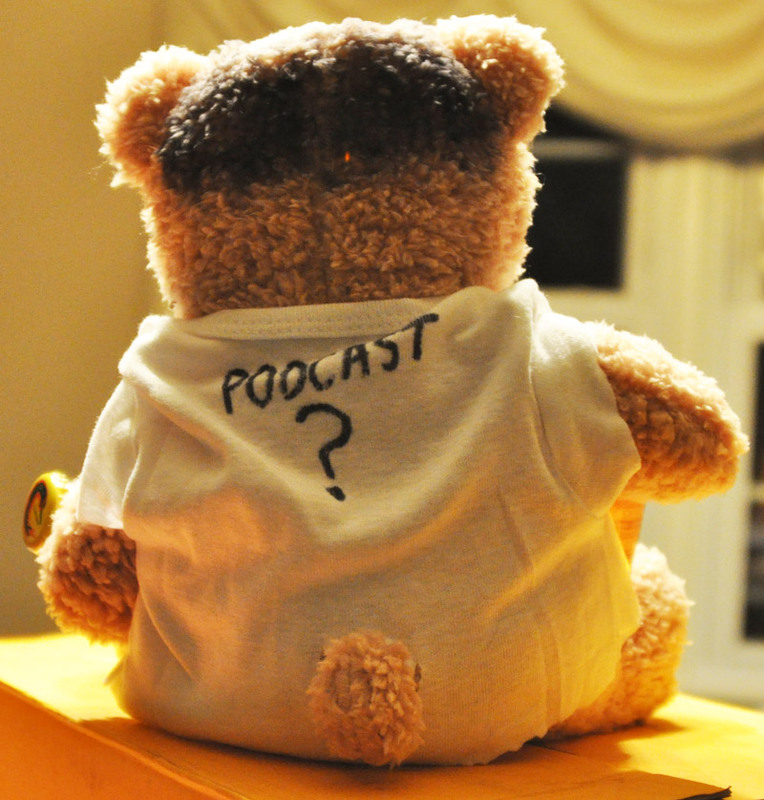 On the back, a good question - whatever happened to the damn podcast, DonnyBear? 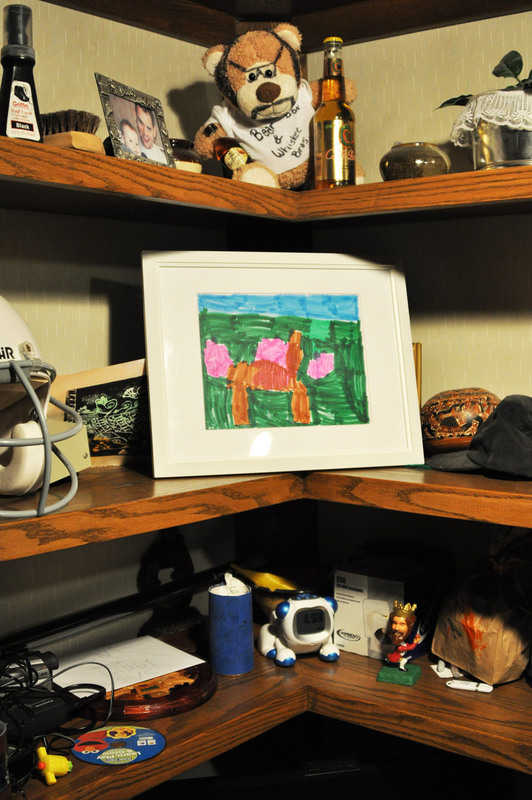 Until I send him to China for mass-production, DonnyBear get the top-shelf treatment in the mancave. 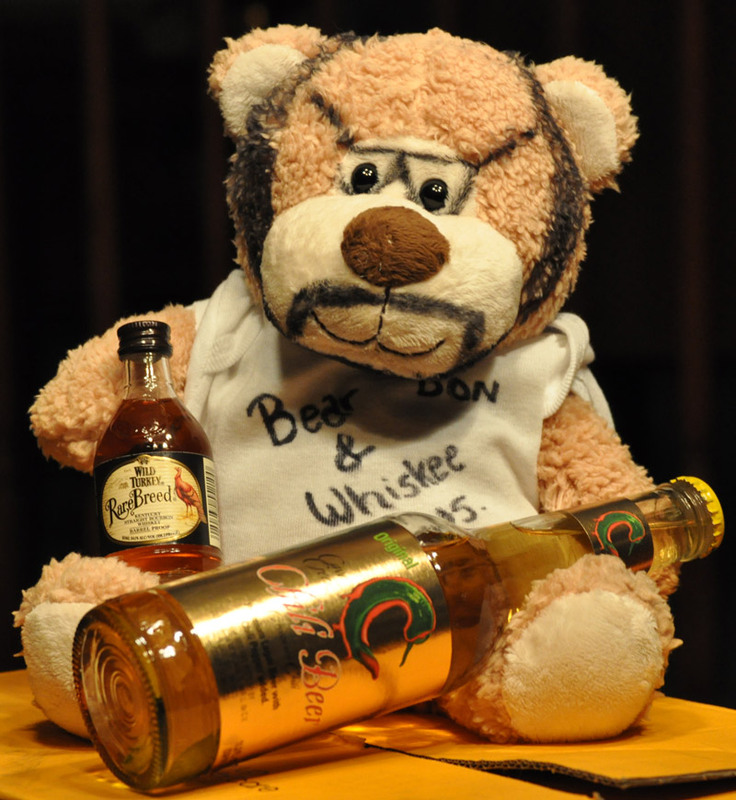 The best thing about the DonnyBear (besides the fact that he’s so huggable and comes with real whiskey) is that he was a gift from our pals in Northern Idaho, Rob, Jeff and Fred or Selkirk Abbey Brewing / Laughing Dog fame. 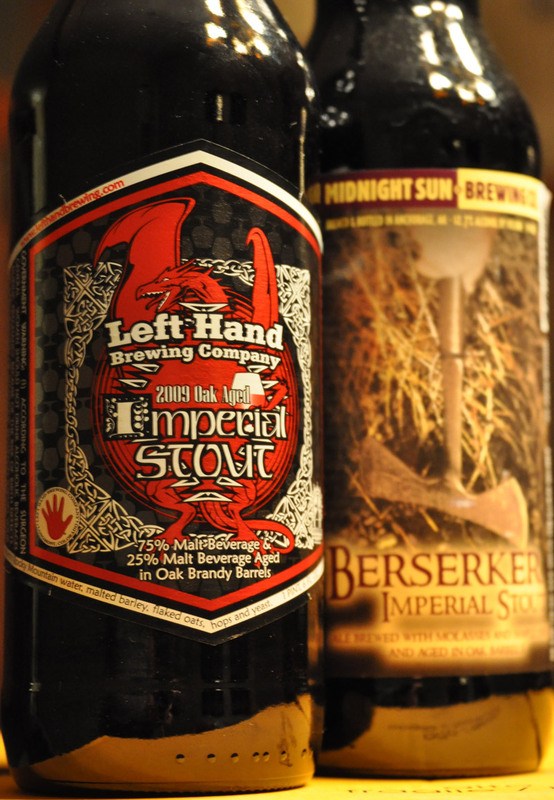 It was part of a Halloween BOO-zed package they sent me, along with a bottle of 2009 Left Hand Brewing Brandy Barrel Oak Aged Imperial Stout and a 2009 Midnight Sun Berserker Imperial Stout – pretty nice, right?! While these beers are indeed treats, they had me with the DonnyBear alone. I couldn’t stop laughing at the details and I couldn’t wait to share it here. Thanks again to the Selkirk/Laughing Dog gang – you guys really made my day month with this one! Along with a really good laugh, I got two really interesting beers. No chance these babies are getting aged! Ok, not gonna lie…That’s awesome! However It is a toss up for me whether I would want the bear more, or the travel Humidor of cigars they sent! I think I got the better of the deal with the bear. Cigars go up in smoke, but DonnyBear is FOREVER! I know…that’s what I’m afraid of! 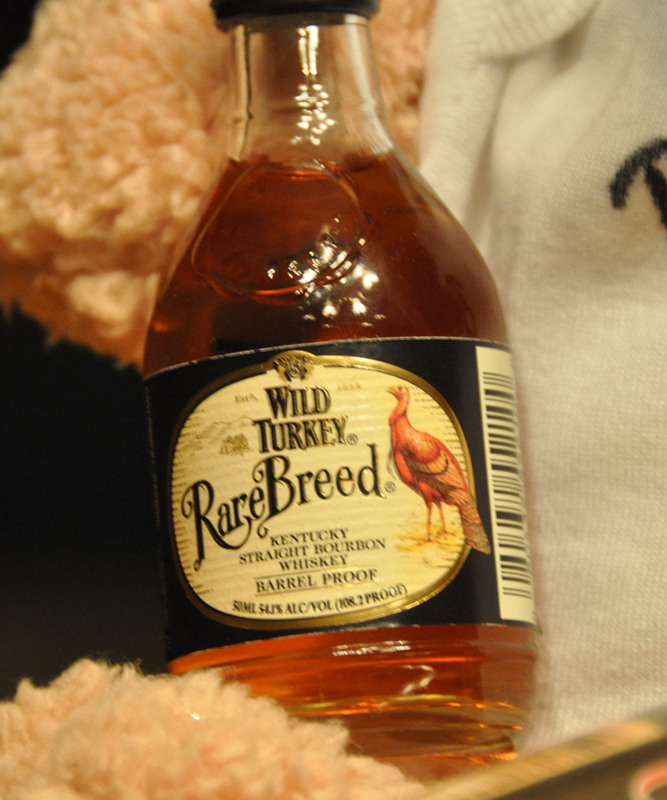 Maybe replace the “bear” with “head” and the “pooh” with the swear version of the smelly brown stuff. That’s pretty good. Plus this thing needs to be furrier – Don sure is!! And shoe polish and a carved gourd from Africa – we got it all! I’m left speechless. I literally have no words to describe this awesoness. But…Would you plunk down $30 to have your very own? That is the question! 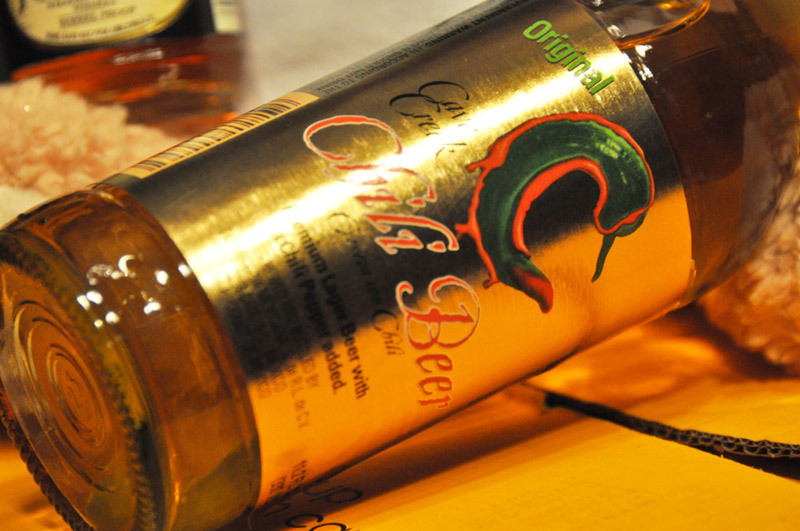 I want the real thing Don! Maybe, if I ever have a great-grandchild.